Finding online classes in Wyoming is easy through WyCLASS. This course locator tool combs through all online Wyoming universities to display courses, fees, and information from eight different schools in one place. You can even start the initial registration process through WyCLASS's award-winning website. The site has several helpful guides and resources describing the different delivery methods for online courses. Wyoming is part of the Western Undergraduate Exchange. As part of the program, several schools in the state offer reduced tuition to students from other western states. Participating schools include the University of Wyoming, Casper College, Central Wyoming College, Eastern Wyoming College, Gillette College, Laramie County Community College, Northwest College, Sheridan College, and Western Wyoming Community College. Distance learners can also use WYLDCAT, the statewide Wyoming libraries database, as a resource to help with their assignments and papers. The small community of Laramie is home to the University of Wyoming (UW), an institution known for world-class education serving more than 14,000 students from the United States and 90 countries. Studying from anywhere is easy because of UW’s online, video, and hybrid delivery options. One of the best online college in Wyoming, UW offer bachelor’s degree programs 100% online in fields such as business administration, RN to BSN, social science, and psychology. Online programs of interest include the accelerated BS in Nursing for college graduates with a non-nursing baccalaureate degree and those who would like to become a registered nurse. The Bachelor’s of Applied Science (BAS) in Organizational Leadership is designed for community college graduates with at least an associate degree who would like to expand their knowledge and professional expertise to advance their careers. In an effort to increase student enrollment and make education more accessible to residents in all areas, Wyoming colleges and universities have expanded online programs in recent years. While tuition and fees at public, four-year Wyoming colleges have increased by 17.4% over the last five years, state funding for postsecondary education increased by 21.4% during this time, illustrating the state's commitment to continued improvements within the higher education system. In fact, Wyoming has proposed numerous initiatives to help students complete their college education and find lucrative employment in the state. Gaining Early Awareness and Readiness for Undergraduate Programs (GEAR UP Wyoming) is one such initiative, helping low-income or financially disadvantaged students obtain a college degree at one of Wyoming's postsecondary schools in order to pursue a more fulfilling career and maximize growth opportunities in life. Additionally, the University of Wyoming's School-University Partnership aims to assist students in the transition from high school academic programs into college courses; the Partnership also focuses on enhancing training and professional development opportunities for educators at Wyoming's public learning institutions. 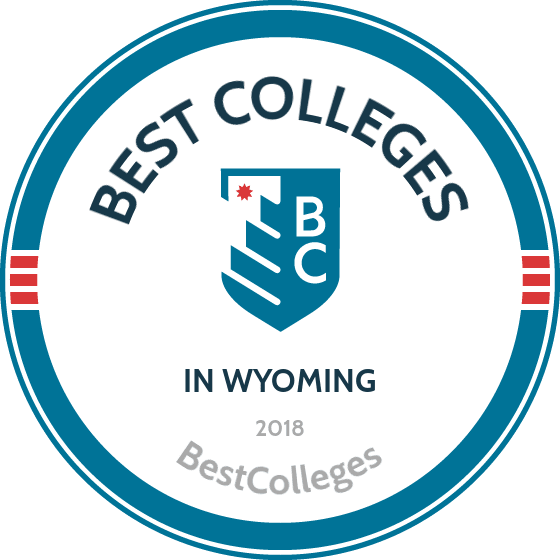 Browse our list of the best online colleges in Wyoming for more insight into distance learning programs in this state. As of fall 2012 enrollment, NCES reports indicate that 10.5% (2,863) of students in Wyoming's Title IV institutions enrolled in exclusively online programs. Most colleges and universities in Wyoming offer distance learners a comprehensive collection of online programs and resources. Among state initiatives to maximize the use of technology-based education delivery is the University of Wyoming's Outreach Credit Program, designed to offer inclusive learning opportunities and maximize prior credit transfer for college students. Additionally, WyClass acts as the state's comprehensive distance learning database, providing collective resources for online students in Wyoming; the database includes a course search function, school information and resources to help students locate academic support services.